Fishing Map and Fishing report for Trinity amd Lewiston lake, bass, trout, with contact, Hot spots, and how to fish information. Including trolling routes and where to fish. 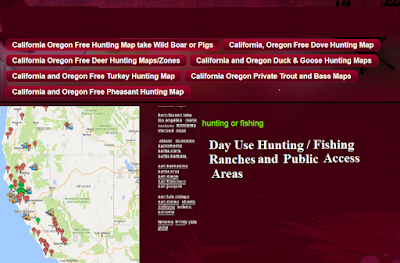 Also maps of hunting clubs, hunting ranches, private fishing. Trinity Lake is the best small-mouth lake in all of California, maybe in the entire western USA. 9 pounder, the largest on record, came from here. A special limit (2 of 12 inches or more) during spawning provides incredible fishing on over 150 miles of shoreline throughout spring and summer. Bass are into the spawn in the Spring, and best ﬁshing of the entire year is on tap in the ﬁrst few days of May when the bigger bass move into shallows. You should match your bait or lures to the ﬁsh you’re after: Bass up to the foot-long are after mostly on insects, the larger ﬁsh eat minnows. As our fishing map shows, generally ﬁnd bronzebacks in smallmouth habitat, they like rocky-type structures. A lake bed that is full of rocky ledges and drop-offs perfectly suited to smallmouth. The largemouths, however, are along the banks sheltered from the wind, such as at Squirrel Gulch, according to our fishing report. The lake is almost 13 miles long and doesn't get as much pressure as other lakes, you have to go a little further off Hwy. 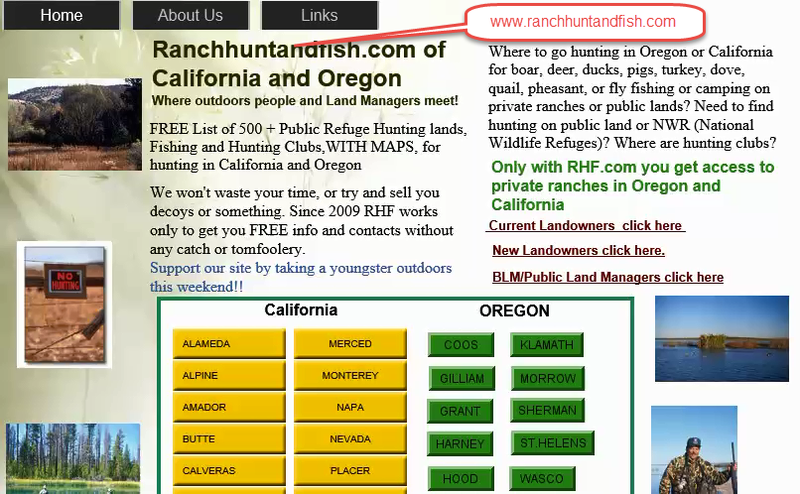 5 for Trinity, so Lake Shasta gets the bulk of anglers. And, the ﬁsh at Trinity Lake are “natural”, as it ﬂooded out the dredger ponds which provided the new lake with numbers of bass and green sunﬁsh from them. Don’t forget the Trout Fishing at Trinity! Our fishing report for 2016 shows an annual plant of 80,000 trout at catch-able size, planted heavily at both ends in March and April, that are 9 to 13 inches, and you can catch rainbows up to 20 inches. The big browns to 8 pounds and better are landed each year. By August they habitate in water 40 feet deep, so the key to ﬁnding the trout is to use some kind of temperature gauge. But for the Spring, the water is still cool, so bait‘s your best bet by still ﬁshing at areas where fresh water comes into the lake. Private fishing Maps and Hunting Maps for Public Areas, 200+ Hunting Clubs and Ranches!